E. Ray Gordon, 89, of Cedar Springs, went to be with his Lord and Savior on Friday, November 6, 2015. E. Ray Gordon was born on January 17, 1926 in Sand Lake, Michigan, the son of Fay and Cora Gordon. After graduating valedictorian from Cedar Springs High School he enlisted in the U.S. Navy during World War II. 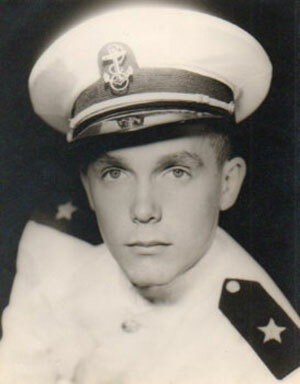 He then married his high school sweetheart, Janet Gunnell on December 29, 1945. He went on to graduate from the University of Michigan with a degree in civil engineering. He was a founding partner in WBDC, Inc. He was a past president of the Exchange Club of Grand Rapids and a past officer of the Michigan Society of Professional Engineers. He had been a scout master for Boy Scout Troop #222. Ray enjoyed fishing, golfing, traveling and attending Cedar Springs School athletic events. He was a member of the Cedar Springs United Methodist Church and the Cedar Springs School Board for 29 years. Surviving are his children, Susie (Ken) Parker, Doug Gordon, Pam (Tim) Covell, Joel Gordon; 16 grandchildren; 27 great grandchildren; brother, Murry (Eva) Gordon; brothers and sisters-in-law, Cliff Snyder, Fred (Carollee) Gunnell, John (Mayda) Gunnell, Nancy (Ed) Bremmer, Shirley (Charlie) Gumina, Cam (John) Teusink, Maxine Gordon, Suzanne Gordon; several nieces and nephews. He was preceded in death by his wife, Janet (Gunnell) Gordon; son, Tom Gordon; brothers, Ken Gordon, Don Gordon, Fay Gordon; sister, Lillian Snyder; brother-in-law, Tom Gunnell; sisters-in-law, Helen Gordon and Lorraine Gordon. The family received friends Monday, Nov. 9 at the Bliss-Witters & Pike Funeral Home, Cedar Springs. The service was held Tuesday 11:00 am at the United Methodist Church, Cedar Springs. Pastor Steve Lindeman officiating. Interment Elmwood Cemetery. Memorial contributions may be made to the United Methodist Church, 140 S. Main St., Cedar Springs, MI 49319.